The Russian optics company behind one of the most widely produced SLR cameras is back with a full-frame digital rangefinder. 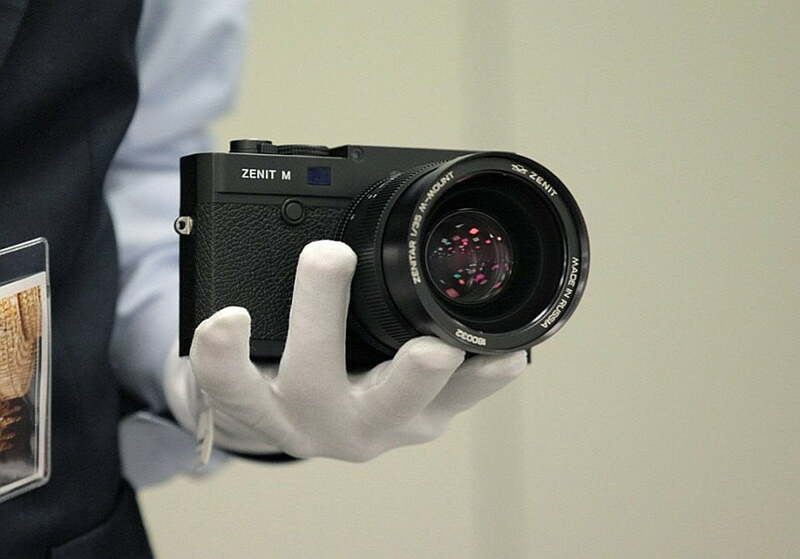 On Wednesday, September 26, Zenit unveiled the Zenit M camera, designed in collaboration with Leica, during Photokina 2018. The digital rangefinder will be equipped with a Zenitar 35mm f/1.0 lens, optics that create a “unique bokeh and soft focus effect,” the company says. 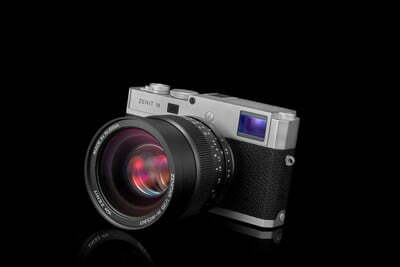 The camera is designed based on the Leica M Type 240, but the company says the Zenit M has adjustments to both hardware and software from that original platform. The parent brand of Zenit is Krasnogorsky Zavod (KMZ Zenit), which is owned by Shvabe. The company has not yet shared full details for the upcoming camera that comes after a dozen-year hiatus from camera production. The Russian-based company teased that the camera was coming back in 2017. The body of the camera is inspired by past Zenit cameras, as well as the Zorky, which was also developed with Leica influence. “[The] Zenit and Leica cooperation forms a unique alliance between long-term experience in optics manufacturing and modern technologies of Russia and Germany. With this project we for the first time declare launch of world famous Russian brand Zenit into the new segment of photography equipment market,” said Alexey Patrikeyev, the CEO of Shvabe. While details on the upcoming camera are slim, the company says that the rangefinder will be available beginning in December across Europe, with availability in Russia in January 2019. The company hasn’t yet said if the camera will be sold in the U.S.
“On purchasing the camera and the lens the users will get not only a high-quality device with elaborate ergonomic design and high optical characteristics, but a really smart camera which will provide high image quality,” said Vadim Kaliugin, CEO of KMZ Zenit. KMZ originated in 1942 as an optics factory, with the company’s first SLR cameras following in 1952. The company’s long history also includes a panoramic camera, followed by compacts in 1997. While the company hasn’t manufactured cameras for more than a decade, the factory continued to focus on optics, including producing the Lomography Petzval lenses, a remake of a historic lens.